Macworld Magazine has published my review of the Olympus E-PL2 micro four thirds camera. I've talked about this compact interchangeable lens device before, but the full review covers everything from important features, accessories, and image quality; to using the camera with an HDTV and pairing the PENpal Bluetooth accessory with a Mac. We cover a lot ground! Overall, I think this is an excellent camera for the photographer who wants a compact, lightweight design, but still retains plenty of control and a variety lens options. 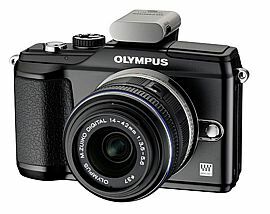 The Olympus PEN E-PL2 camera kit is available for $599 US. "While reading Red River's information on their new card paper, I clicked on your link about BOKAH taken in Las Vegas, and enjoyed the image of OOF Lights," writes Ralph Ansel. 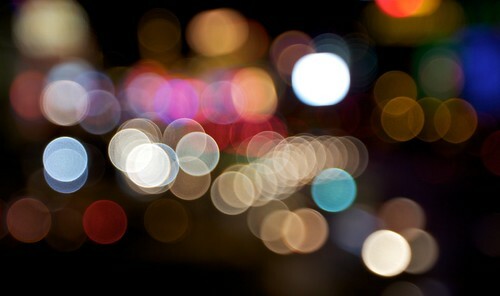 "During my visit to Las Vegas, I did some photos of lights at the candy factory's decorated cactus garden. I used a Canon 5D MarkII, Canon 24-70mm f2.8 at about f8 in Aperture Priority mode. I adjusted the lens opening to get a 1 to 2 sec. 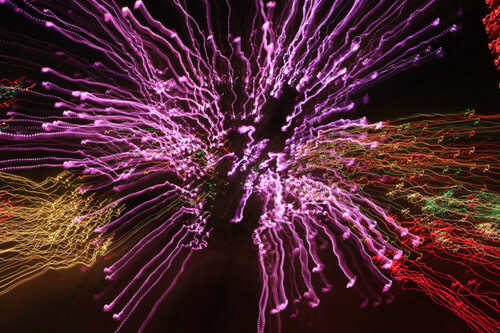 shutter speed and zoomed the lens during the exposure." Nice shot, Ralph! I think the effect is striking. This is our 210th Grab Shot! Wow. If you want to review the collection that began back in 2006, go to our Grab Shots page. 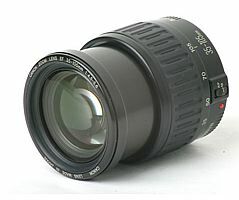 I was just reading a Canon advisory about peripheral AF points operation limitation with certain EF lenses, referring to eight older lenses released between 1990 and 1995. One of the lenses, the 35-105mm zoom, is still hanging around my studio. Just to be clear, the advisory doesn't say that the lenses don't work with the new Canon bodies. The issue is, "...the peripheral AF points do not function as cross-type AF points resulting in vertical and horizontal lines not being simultaneously detected. Vertical or horizontal lines can only be detected separately." One of the things I enjoy about my Canon DSLR system is that I'm still using favorite lenses from years ago, such as the 85mm f/1.8, on current bodies, such as the 5D Mark II and the 60D. This particular advisory doesn't bother me much, In fact, I appreciate the information... just in case I decide to break out the 35-105 zoom (which was a mediocre lens at best, btw). The good news is, that in most cases, you're going to get solid performance with your older Canon EF lenses on any Canon DSLR body. That's why we say that good glass is an investment. There are a handful of applications that enable a connection from an iPad to your DSLR. 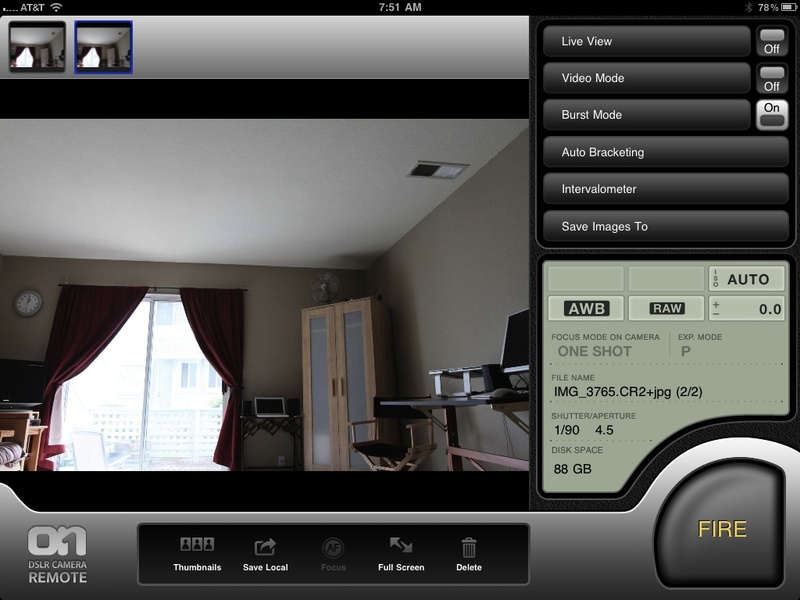 But if you really want to control the camera remotely, take a look at onOne's DSLR Camera Remote HD for the iPad. I've connected a Canon T1i, 60D, and 5D to my MacBook Air, and then used my iPad as command central. This includes working in Live View, video recording, and using the iPad as an Intervalometer to set both interval and number of shots for a session. The set-up is painless. First, I downloaded the iPad app from the App Store ($49.99). Then I went to the onOne site to download the server for my MacBook. At this point, you can turn off and on Live View (for cameras that have it), take pictures, focus (via Live View), adjust parameters such as white balance and ISO, and even record video if your camera supports it. When all of the settings are to your liking, you can switch to full screen mode that gives you a bigger version on the image with the Fire button. You have the option of saving your photos to the computer only, or the computer and the camera. DSLR Camera Remote HD is designed for Canon and Nikon cameras. The interface is well designed, functionality works great, and for Canon users in particular, it's worth the price for the Intervalometer alone. 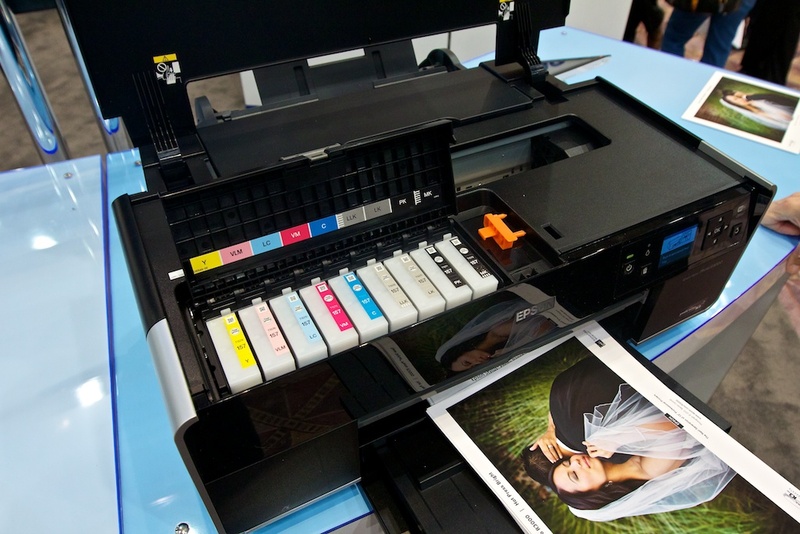 Over the course of an event, such as WPPI 2011 in Las Vegas, I notice little adjustments along the way. Here's an example that made me smile. On Day 3 at WPPI, the body painters were wearing undergarments. Click on image for larger size. Earlier in the show, when I walked by the Unique Photo booth, they were body painting models, but with no undergarments on top. 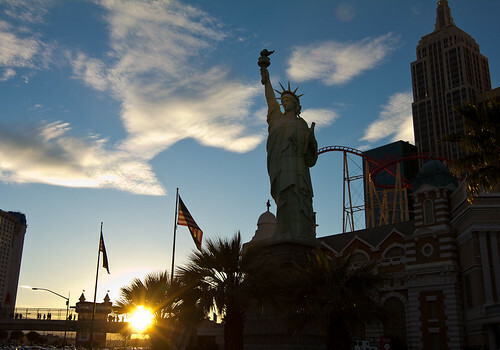 This has been a popular attention grabber at Vegas photo shows in the past. Aside from the attractive models, the artists are quite good. It's amazing at how fast they work, and how effective the results are. Then, on Wednesday, I passed by the booth again on my way to see Brian Smith present at the Sony booth, and I noticed that the models were now sporting bras beneath the body paint. Looks like, even in Vegas, you have to cover up these days.